Homemade coffee creamer is easier to make than you think! Plus, you can pronounce all the ingredients! Caramel Macchiato Coffee Creamer is DELICIOUS. I am obsessed with coffee. I am a coffee addict. There. I said it. Can we move on? Here’s the thing. While I am obsessed with coffee, I am pretty cheap. I hate paying money for Starbuck’s and other coffee shop coffees. I do it occasionally, but I would rather pay the extra money for some good bagged coffee and beans. And I will pay extra for some delicious coffee creamer too. But, my one indulgence…Wait. Let’s re-word that. ONE of my indulgences is a Caramel Macchiato from Starbucks. I love the strong coffee with the creamy caramel. And the froth. Oh so delicious. A couple years ago I learned about Espresso Powder. I buy a jar of this at least once or twice a year. It’s not only great in today’s recipe, but also good in these No Bake Cookies, these Chocolate Espresso Fudge Cookies, Tiramisu, and some Mocha Cupcakes. 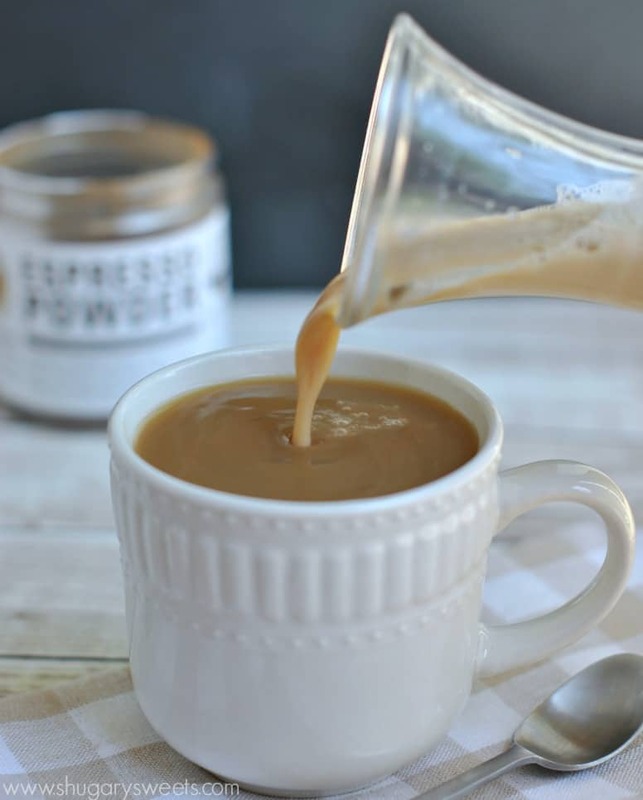 In today’s recipe, I added the espresso powder for not only the extra boost of coffee flavor, but it also froths up the coffee creamer. Granted, when adding it to your coffee you lose the froth, but the flavor is incredible. 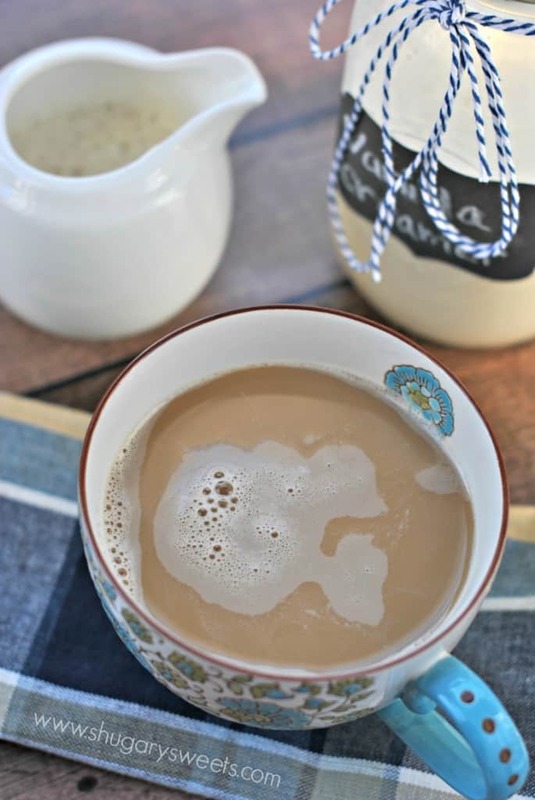 And because you’re making this creamer at home, you can feel good about what you’re drinking! I use fat free milk and fat free sweetened condensed milk to cut a few calories. Of course then I add 1/3 cup caramel and I’ve achieved balance. While I enjoy it with the fat free milks, it’s even creamier if you use the regular sweetened condensed milk and whole milk. In a quart size mason jar, combine 1/2 cup of the milk with the espresso powder. Microwave for 30 seconds. Whisk smooth, and heat an additional 30 seconds. Add remaining milk, sweetened condensed milk, caramel sauce and vanilla. Screw top on mason jar and shake vigorously until combined. Store in refrigerator. Use fat free milk and fat free sweetened condensed milk to cut some of the fat. I use caramel ice cream topping. To determine how long this will last, go by the date on your milk. Homemade Almond Joy Coffee Creamer: creamy coconut, almond and chocolate creamer! Indulge! Irish Cream Coffee Creamer: add a shot of Bailey’s and this is now DESSERT. 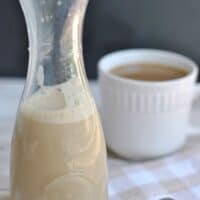 French Vanilla Coffee Creamer: my most popular coffee creamer recipe. And the one I make most often too! 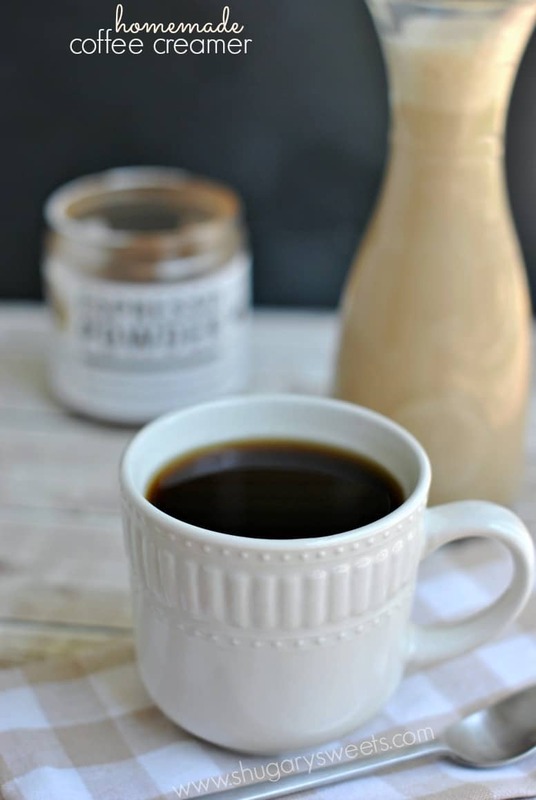 Pumpkin Spice Coffee Creamer: now you can enjoy one of your favorite creamers all year long! Caramel macchiato is hubbys ultimate weakness, he’s an addict! From Starbucks and that costs a mortgage payment! Thanks for sharing, I had NO idea making creamer could be this easy. But I’m a decaf gal, just warning you! Glad I could be of service. Hope your hubby enjoys the creamer! This looks fantastic. I love not having to leave my home for an awesome cup! Oh it’s so simple!! You’ve got to try it! Yum! I am a coffee addict too and I too hate spending money on creamer and Starbucks. There is nothing like a great cup of coffee at home! 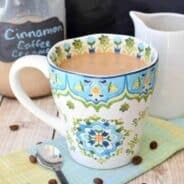 I love how easy this creamer is. Can’t wait to try it! 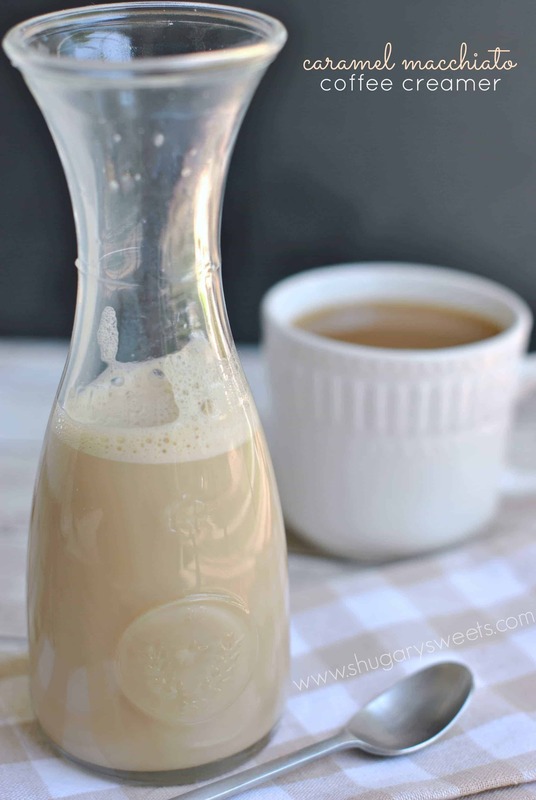 I think you’ve rightfully earned the title ‘homemade coffee creamer queen’! I love this!! Do I get a crown? Or tiara? Or some sort of bling?? Please??? I have to try this with the fat free substitutions you mentioned. I keep drooling over all the flavors at the grocery store. I am sure homemade will be so much better. 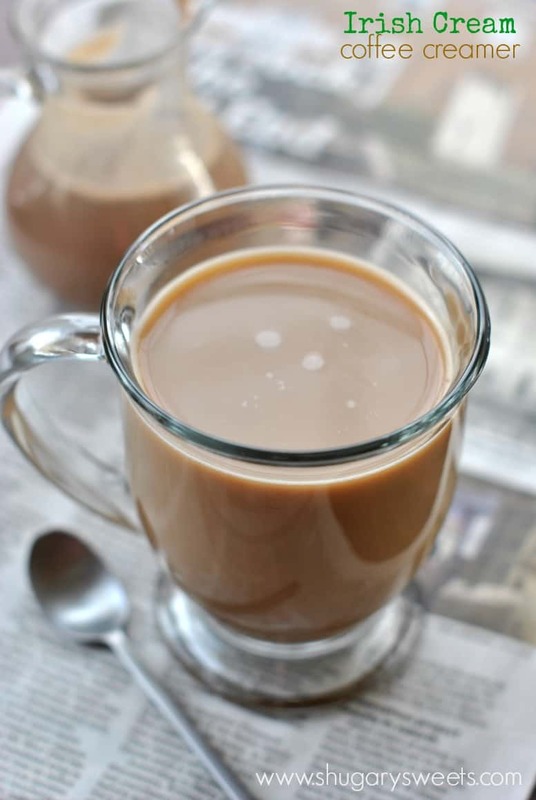 I love your coffee addiction…keep the creamer recipes coming. You have me addicted to making a new one every once in a while too. I love the caramel and coffee in this one!!!! This looks so rich and delicious. My inner coffee addict is jumping for joy. I happen to have all the ingredients on hand and need to try this, Aimee! I love coffee creamer (I think almost more than I love coffee LOL) and caramel macc is one of my favorites! Pinned! Thanks (again and again) for pinning 🙂 And I hope you enjoy this, so easy!!! One of my fave coffee flavors – I’m so excited that I can make it home! Love this! I am so not a coffee drinker, but this looks pretty fabulous! Starbucks has nothing on this! The fact that I can have a second cup (of coffee that I know what is in it!) and I’m not out three bucks sounds like a major win win to me! 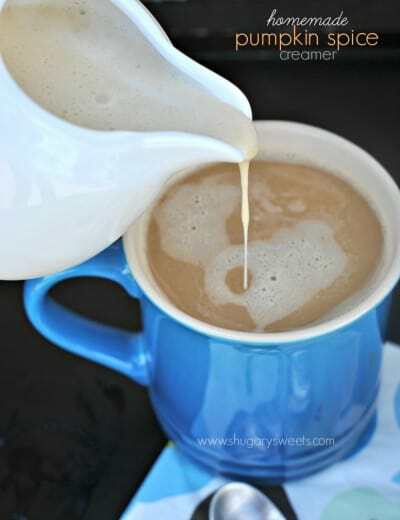 i’ve never thought to make my own coffee creamer.. but if its this easier i definitely will be giving it a go! This sounds crazy delicious! I love flavored coffee creamers, but I hate buying them because of all the extra stuff that’s added. 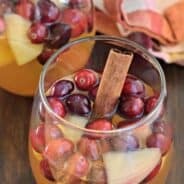 I’ve been trying to make my own, and this will definitely be added to my growing list. These creamers are TO DIE!!! Is there a way to make them sugar free? My apt. manager is a creamer freak, but needs sugar free, hypoglycemic.. I’d love to turn him on to these, sans sugar! Thanks!! Love your posts!! I’m not sure Jann, I’ve never tried to make a sugar free version! Do you heat it just to dissolve the espresso powder? Or is it so that all of the ingredients mix together better? I don’t have access to the powder, and I’ve made my own creamers without heating them before. I just don’t want to mess this one up because it sounds delicious! 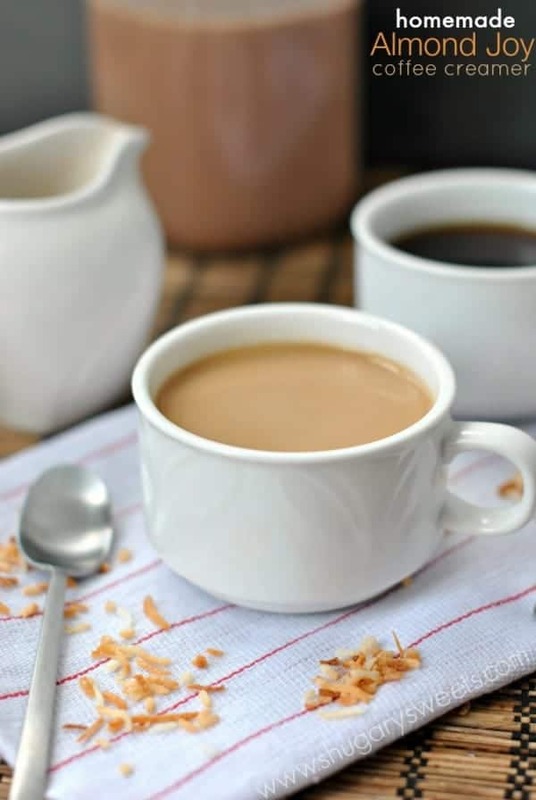 All these coffee creamer recipes look fabulous! They seem to make an awful lot more than I could use before the expiry date, though. Do you think there would be any difficulty with making it, and then freezing a portion of it for later? Holy COW this is crazy good!! If I wasn’t already a coffee drinker I would become one just so I could have this! Could drink the whole dang jar! Thank you!! Thank you for this recipe! Can’t wait to try it! I made the French vanilla and love it. I didn’t think that I would use it up in 7-10 days but I did. I used fat free sweetened condensed milk and low fat almond milk but I love it. Next I’m going to try the Caramel Macchiato cause that’s my sons favorite creamer and I’m hoping he will try it. Nobody in my family loves home made stuff as much as me! 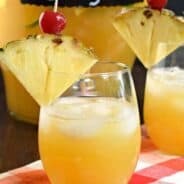 Thank you so much for these recipes! Now I just walk on by the creamer section of the store cause I have something better at home!